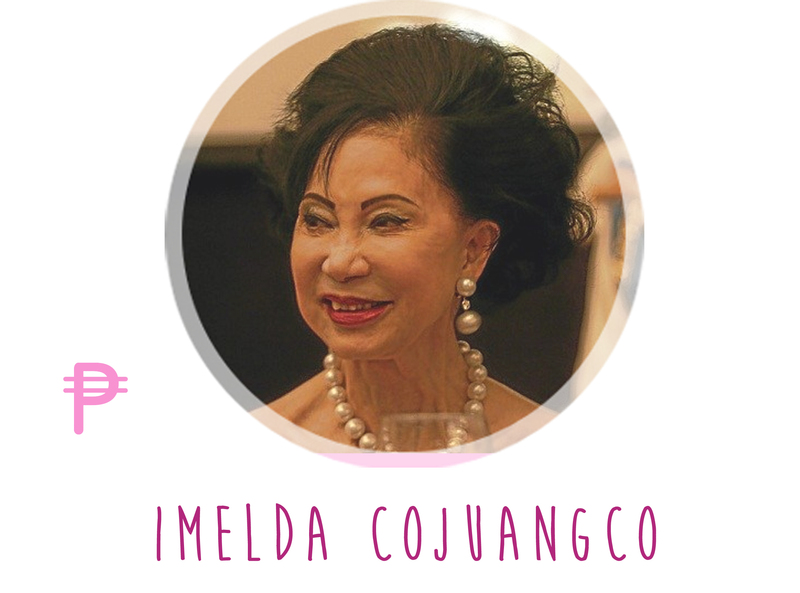 Imelda Cojuanco is the philanthropist widow of the late Ramon Cojuanco, owner of Philippine Long Distance Telephone Company (PLDT). She has increased her wealth through the selling the PLDT stocks to First Pacific during the Estrada administration. 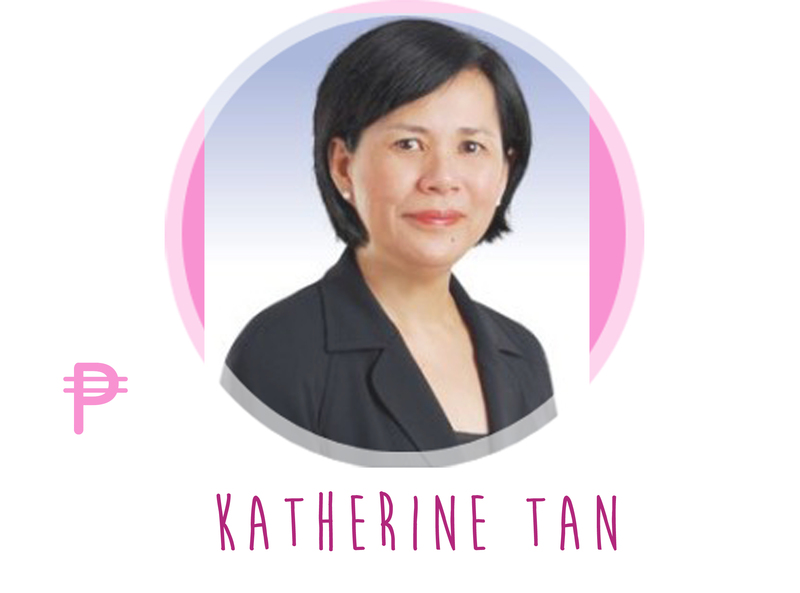 Katherine Tan is the wife and top business confidant of the Philippines’ third richest billionaire Andrew Tan, founder of the Alliance Global, Megaworld and Emperador Brandy.